You’ve got to be kidding me – 200 miles? Who would be crazy enough to run that? Not me. Well, unless I had the help of 11 other people to slice up the distance into smaller pieces. 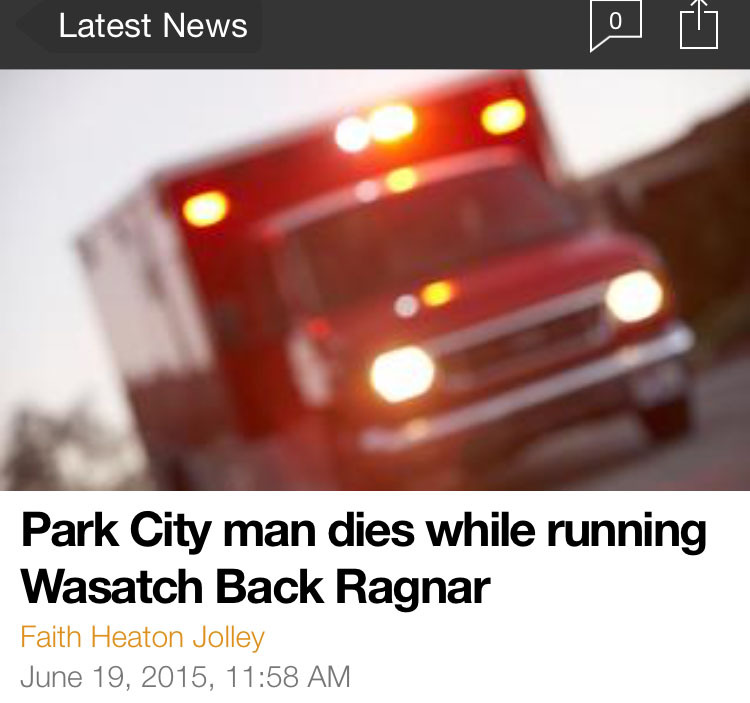 That’s the concept behind the Ragnar Relay Series. 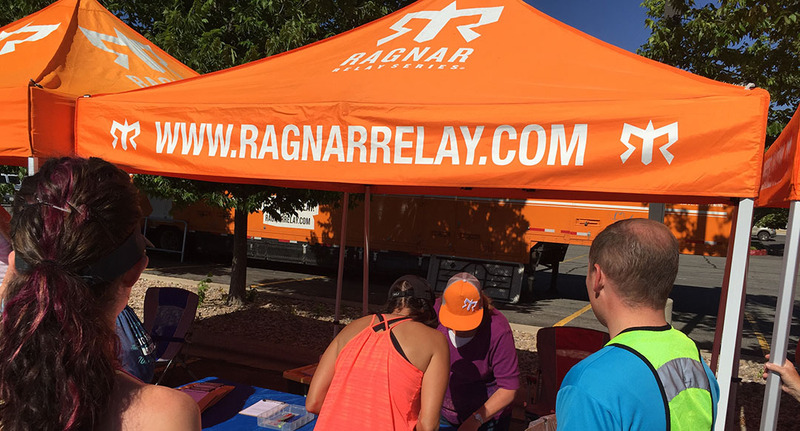 First launched in 2003, the Ragnar races have expanded to include 15 different events in various locations across the country. 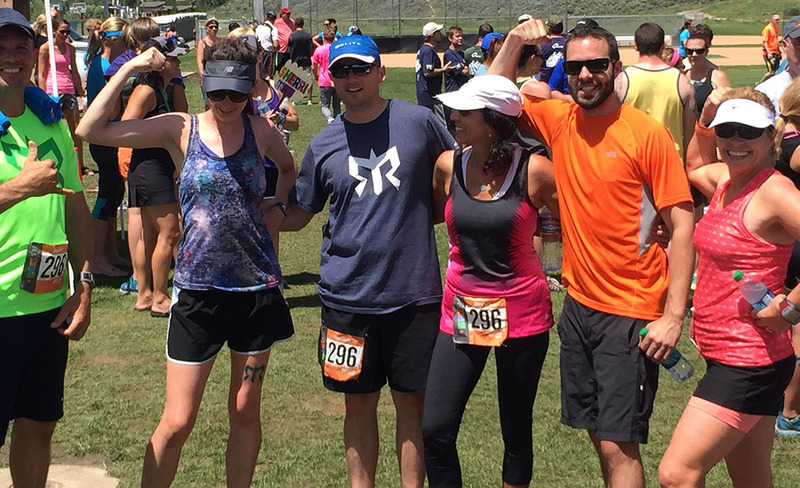 This past weekend, I joined forces with some friends and family members to compete at the 13th annual “Wasatch Back” Ragnar Relay which started on Friday morning in Logan, Utah, and ended Saturday afternoon in Midway, Utah near Park City. 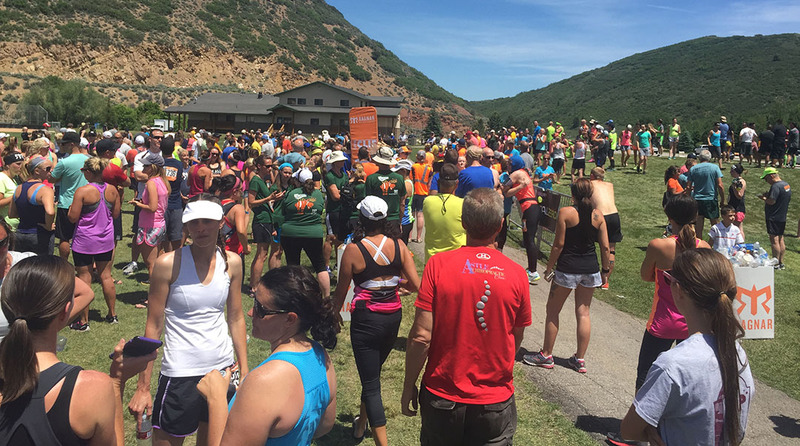 The race’s name comes from the fact that the course runs along the back (east) side of the Wasatch Mountain Range, a section of the Rockies that borders the Salt Lake City area. 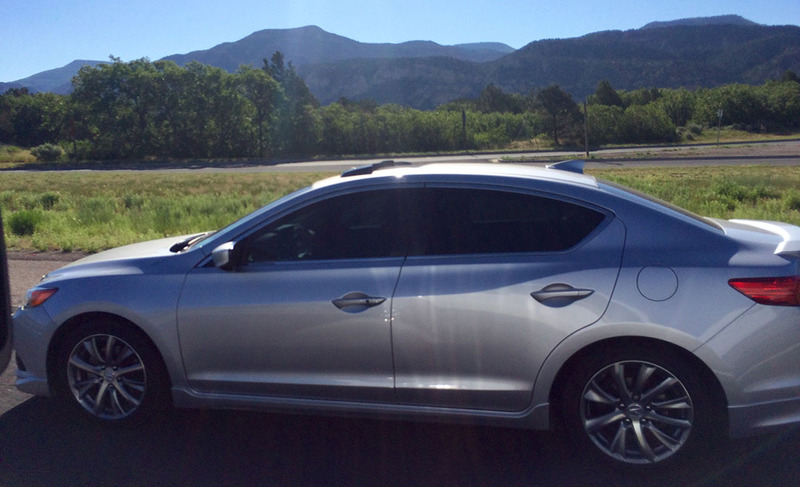 I took yet another jaunt to the Beehive State aboard the ILX for this occasion. 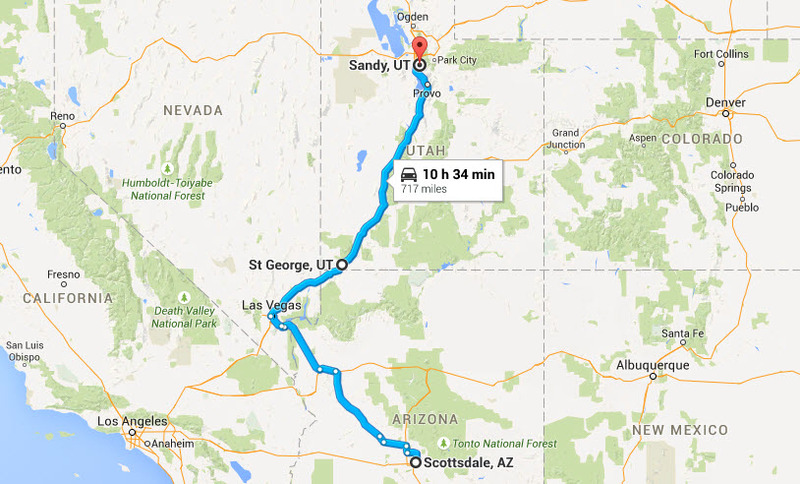 In the 10 years I’ve lived in Arizona, I’d guess I’ve taken the drive to Utah at least 7 times per year. So, this is a well-known route for me. 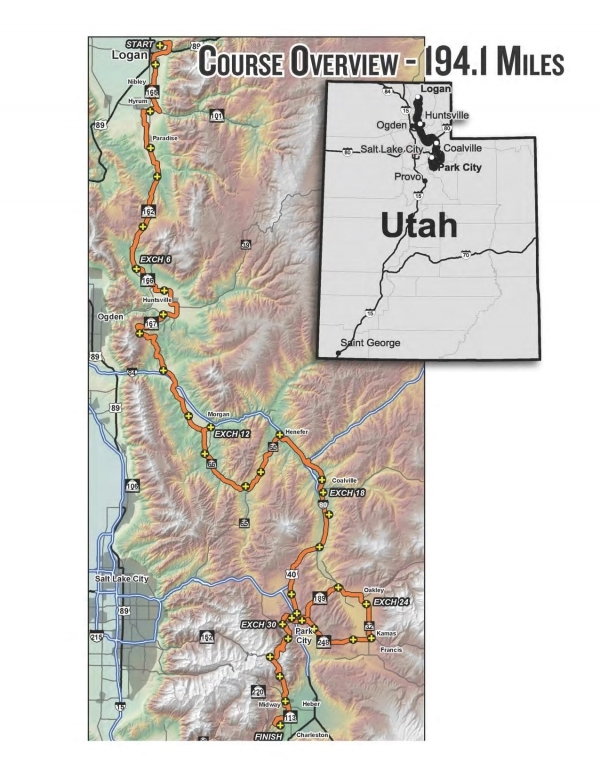 I left the car at my friend Jeremy’s place in Sandy, Utah and carpooled with my mom & stepdad the rest of the way to the race’s starting location in Logan, a couple of hours north. My mom and aunt Jodi acted as team captains for us. Our team was code-named “Athens 2 Sparta” in a tribute to the first marathon – undertaken by a guy named Phidippides in 490 B.C. during the Persian/Greek War. He was sent as a messenger due to his running speed and endurance, often completing distances of 140 miles or more. He eventually died from exhaustion after one particularly taxing route! We hoped for a dissimilar fate. There were 946 teams registered. At 12 people each, that’s 11,352 people. Plus two drivers per group, so that’s another 1,892 people. We are talking about over 12,000 people engaged in this craziness. Although, I guess I should mention – not all teams chose to go out with 12 participants. Any team considered “ultra” had 6 or fewer people on it. In other words, the people in those groups were running twice as frequently (and therefore, twice as far) as “normal” participants. I can’t imagine what would compel anyone to do such a thing! Due to the volume of people involved in this event, start times were staggered in waves. 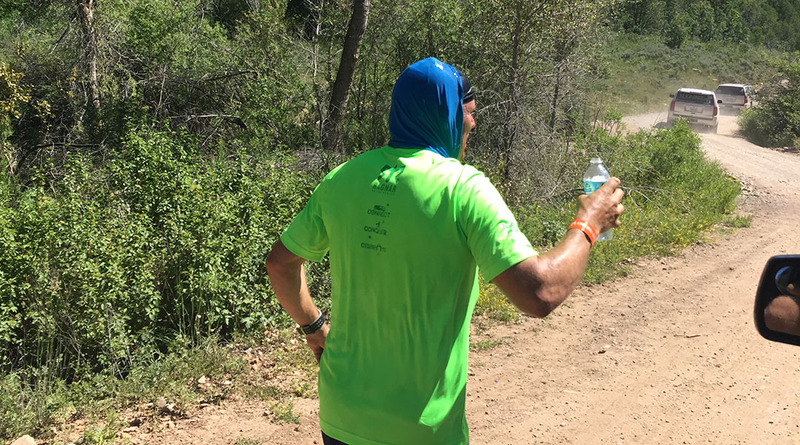 We reported at 9:30 a.m. as instructed on Friday, June 19th, checked in, showed the race administrators that we had appropriate safety gear, and watched a short instructional video. 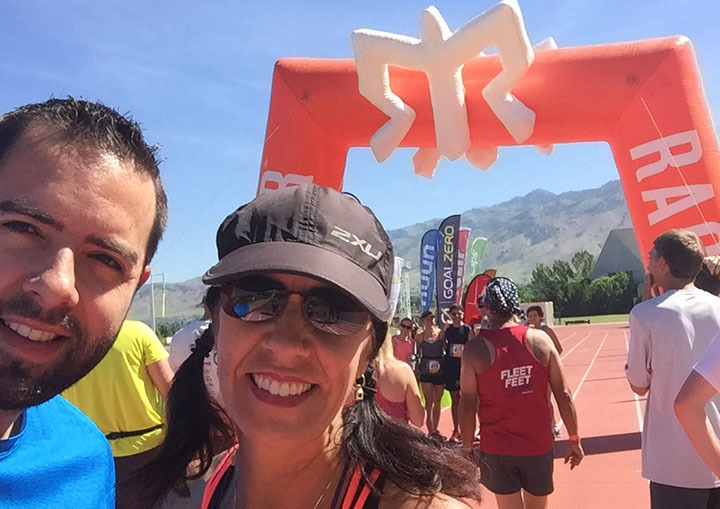 My mom was our first runner for our 10:30 a.m. start. We had to send our all-star out first to get us off on the right foot! It was perfect weather for a run and she took off in a flash. 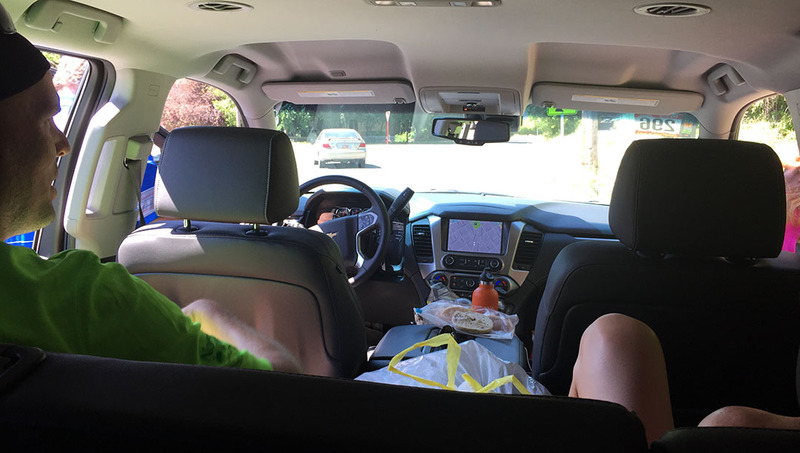 When the rest of us we weren’t running, six of us (5 runners + our driver, Mark) rode along in a rented black 2015 Chevy Suburban (“Van 1”) and provided “support” to our team member who was on deck. I spent most of my time in the back seat trying to avoid motion sickness as we frequently did U-turns and re-routed to find our way around. 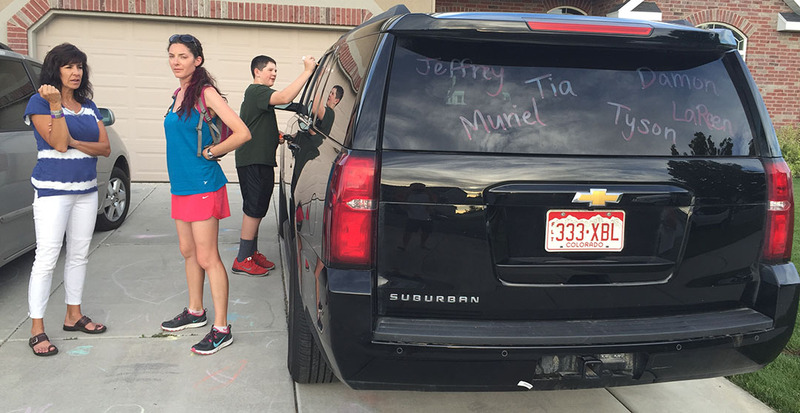 A second Suburban (“Van 2”) carried the other six members of our team and started after Van 1 members had each completed their first leg. Logistics confusing enough yet? As a first-timer to this event, I was amazed at how seamlessly it worked. Despite only being 4 miles long, the fact that Leg #4 was a slight uphill and took place in the hottest point of the day made it a doozy for me. I was relieved when I finally saw my team members at the next exchange and I happily chugged a chocolate milk after passing the baton (which was in fact just a 1980’s-esque bright orange slap bracelet) to Damon who picked up the next segment after mine. 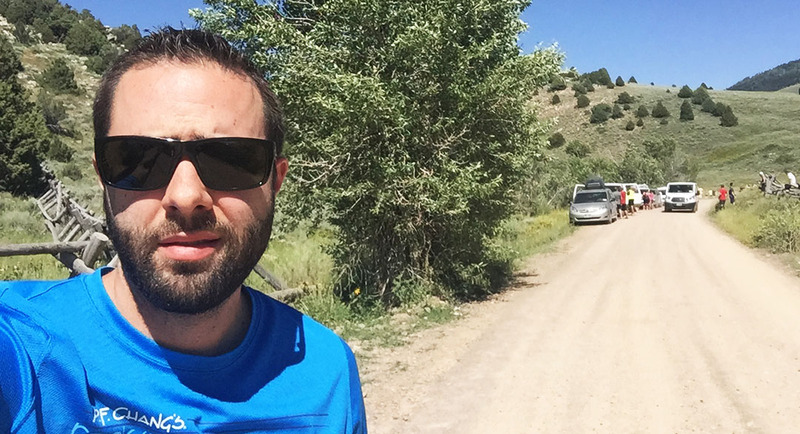 Poor Damon ended up running 8.8 miles on an uphill, dirt road, while eating the dust of vans passing by! Torture. We got up over Avon Pass and back to pavement in the tiny town of Liberty, and then we made our first “big” exchange when Van 2 took over. Meanwhile, Van 1 had about 6 hours to spare. We traveled to our next starting point in Morgan, Utah and sprawled out on a grassy field near the high school while having our lunches. I rolled out my sleeping bag and did my best to rest my eyes but it didn’t do much good. Mom tried the same. It was a little after midnight when mom took Leg #13 and started our van off again. I was already exhausted when Jeffrey passed me the torch a little before 3:00 in the morning. 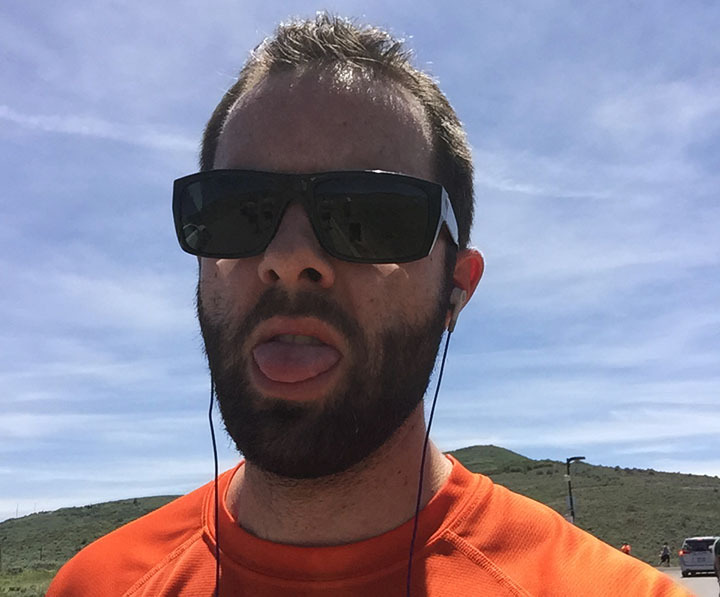 I had been standing at the summit of State Highway 65 near East Canyon Reservoir and trying to jog in place to keep the blood flowing and to keep from getting cold. Once I finally got rolling, I’d forgotten all about the temperature. I had a momentary emergency when my “taillight” clipped to my reflective vest fell off and lost its battery, but my van quickly came to my rescue when they drove past. This was my attempt at a picture. The next 6 miles were bliss: Steady downhill grade, perfectly clear night with the brightest stars I’ve ever seen, good music, and refreshing temperatures. A remix of the Cranberries’ hit “Zombie” was just what I needed for motivation at 3:05 in the morning when I took this screen shot. Good song! That was a refreshing way to spend the morning and it definitely helped wake me up. Once again we filed through our segments and tried in vain to catch shuteye when we weren’t the ones pounding the pavement. Soon, the sun started peeking over the horizon and Day 2 had begun. 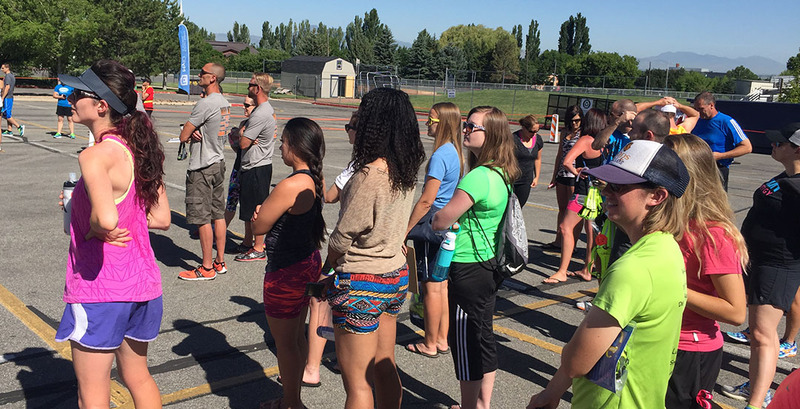 We arrived in Coalville, Utah at North Summit High School for our next group break. 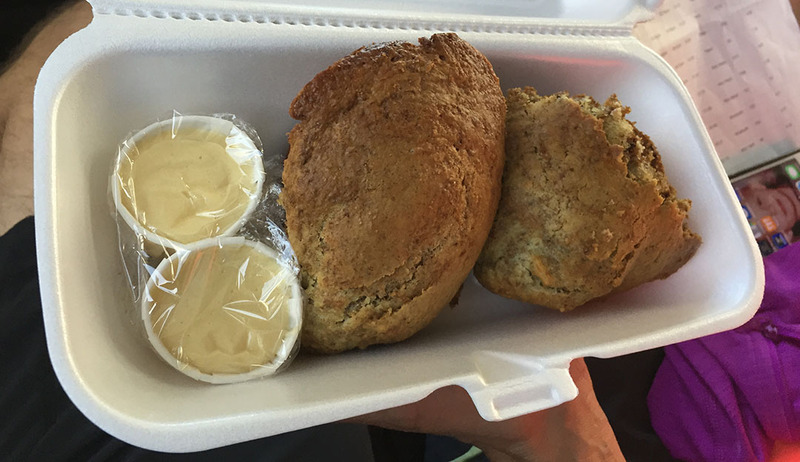 They were selling hot showers for $2 and pancake breakfasts for $4. I gladly paid up! 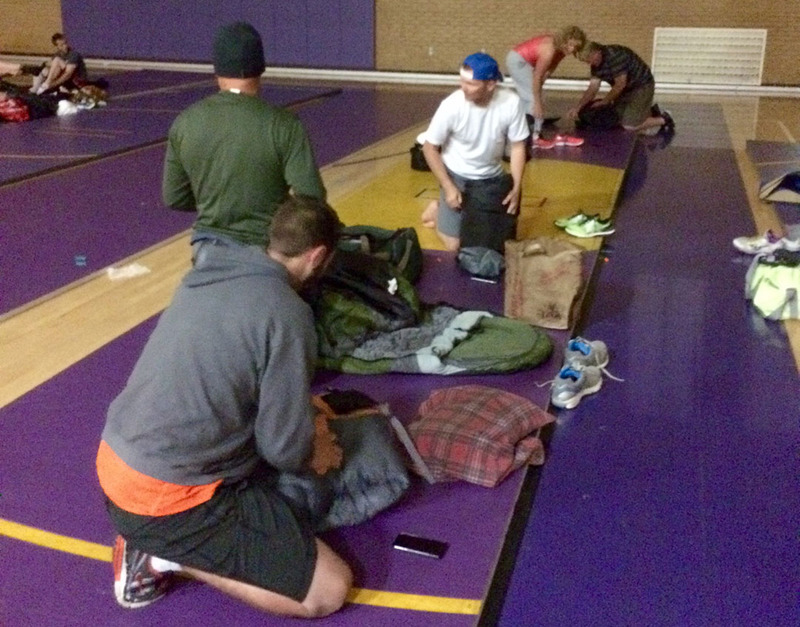 After that, we rolled our sleeping bags out onto the floor of the gymnasium and shut our eyes for a little while. 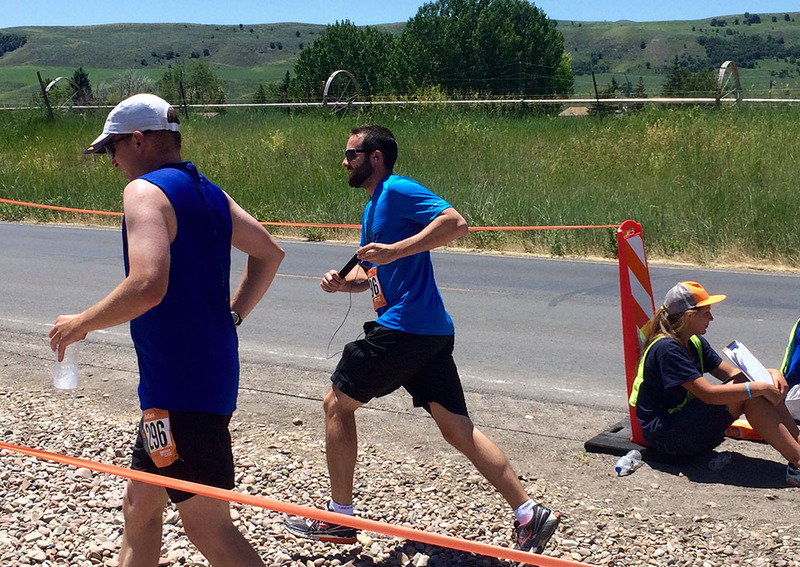 My last leg was along Highway 248 where I awaited my turn to take the bracelet and run with it. I was standing in parking lot at beautiful Jordanelle Reservoir and should have been enjoying the view, but instead my eyes were transfixed on a massive hill ahead of me — one that very soon I’d be attempting to run up. It seemed like an eternity before Jeffrey came down to pass me the reins, but he finally did and I took off as briskly as my legs allowed me to. 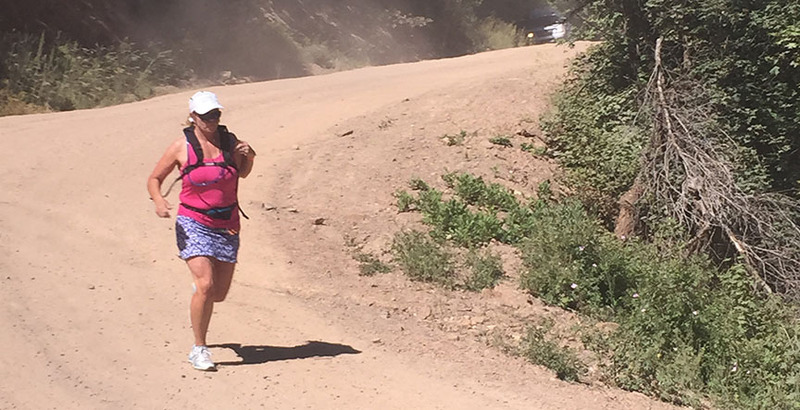 Water bottle sloshing in hand, I did my best to keep a consistent pace up the grade, but I had to slow it down to a power-walk a couple of times to keep from overheating. My van waited for me at the top of the hill and my mom threw a water-soaked cloth around my neck. That gave me enough motivation to press onward. It was an amazing feeling to finally crest the summit and be able to see the next exchange location within view. 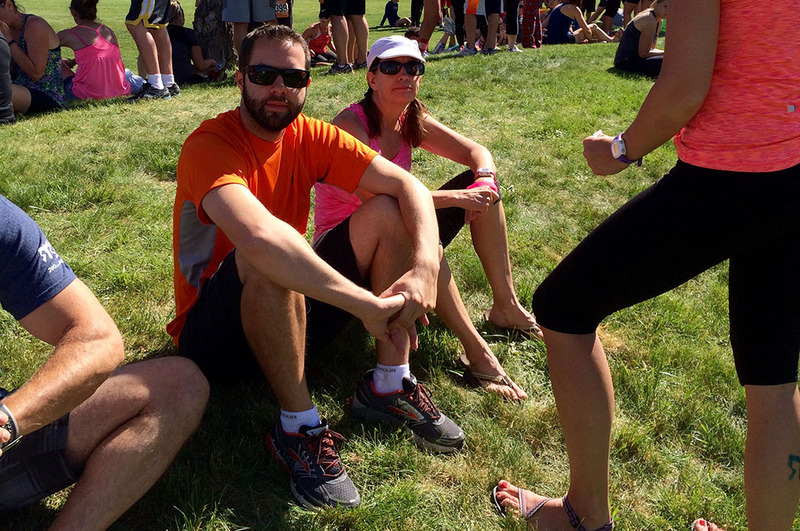 I gladly passed Damon the bracelet and felt a huge sense of relief, having completed my last part of the relay race. It was several more hours before our “Van 2” team members finished their parts, and I wasn’t able to stick around to see them at the finish line at dusk, but they shared the good news that our team, Athens 2 Sparta, had completed the 194 miles in 34 hours, 10 minutes. That put us in 278th place out of 719 co-ed teams. Top third placement – not too shabby! This was one of the most challenging physical things I’ve ever done, probably second only to the 26-mile Grand Canyon hike I did a few weeks ago. 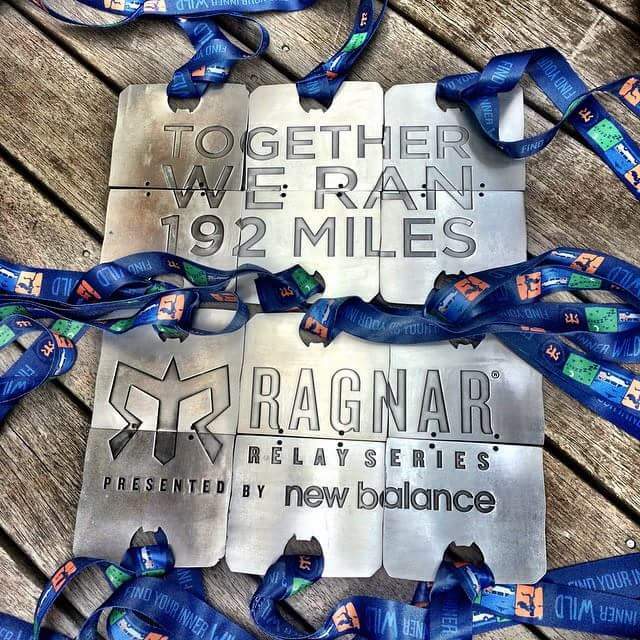 But the neat thing about the Ragnar concept is that you’re a member of a team, and each person contributes something to the overall outcome. It’s a lesson in working together to achieve a common goal, and feeling great about it when you’re done. Huge thanks to Mark, Nicki, Jodi, Tia, Ben, Jarrett, Isabelle, Roxie, LaReen, Damon, Jeffrey, Muriel, and Jandi from my team for playing a part in this! 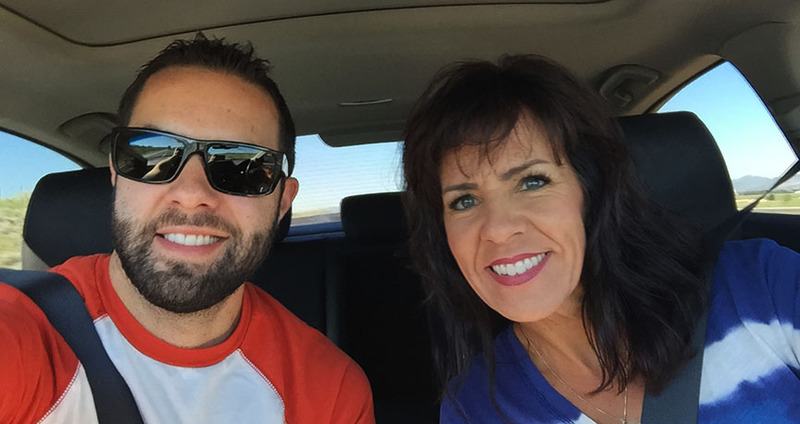 I enjoyed my 10 hours of reflection on that topic while driving home to Phoenix. Now, if only I could’ve taken a team approach to the 256 unread email messages that were waiting for me at the office on Monday morning. Sigh. Here’s a short video with just a few scenes from the race. Thanks for coming along for the run! A friend sent me this screen shot shortly after we got underway. This race is serious business. 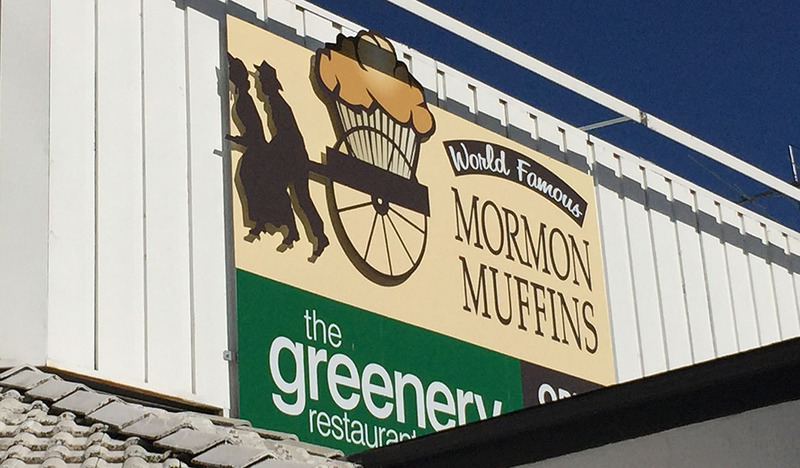 “Mormon Muffins”? What would that be? Here they are. 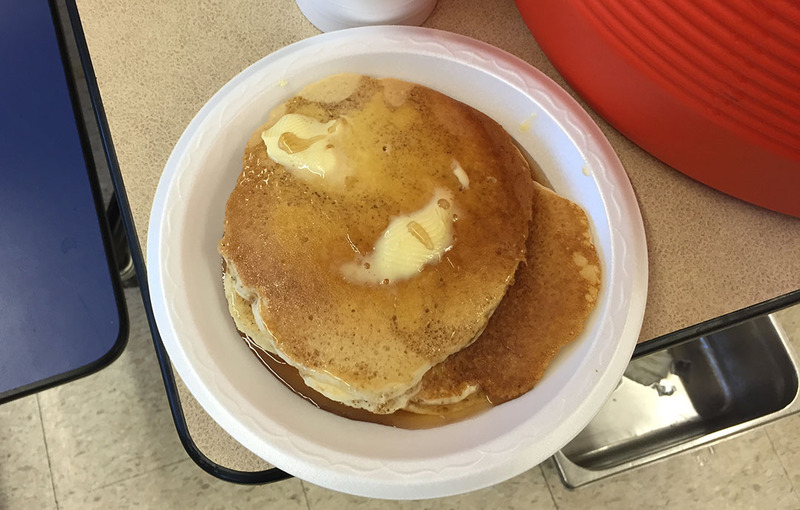 With honey butter! I loved the clever names that some people came up with for their vans. 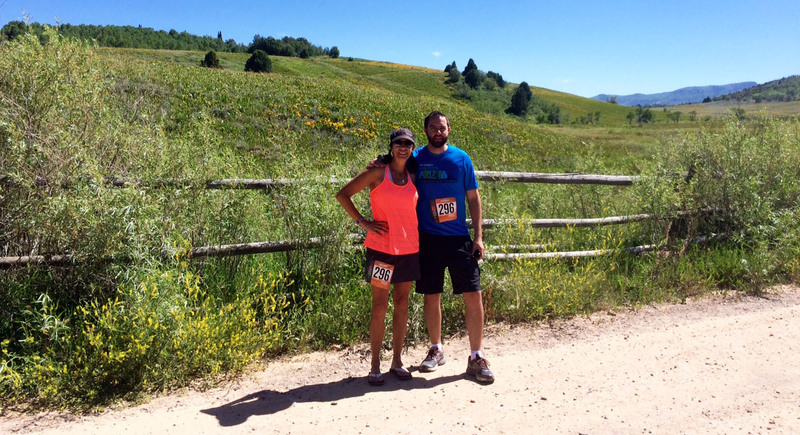 This entry was posted on June 22, 2015 at 6:20 pm and is filed under ILX, Road Trip, Running, Utah. You can follow any responses to this entry through the RSS 2.0 feed. You can leave a response, or trackback from your own site. Wow that’s a busy day! I almost drop to the ground trying to run one mile. You are some brave and athletic souls. Nicely done! I would have likely perished. Ha, I doubt it! 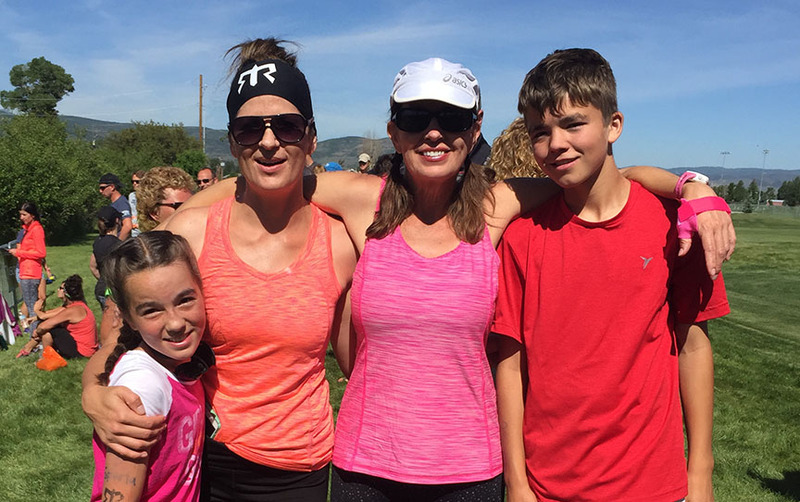 The running component wasn’t that bad at all – it’s the sleeplessness and the cramping while you’re sitting in a Suburban waiting for your next turn that really fatigue you! I hope you guys are drying out over there by now in IL. “Shitter’s Full,” is from National Lampoon’s Christmas Vacation. One of my favorite holiday movies. I can’t imagine doing that with the exhaustion and the heat. 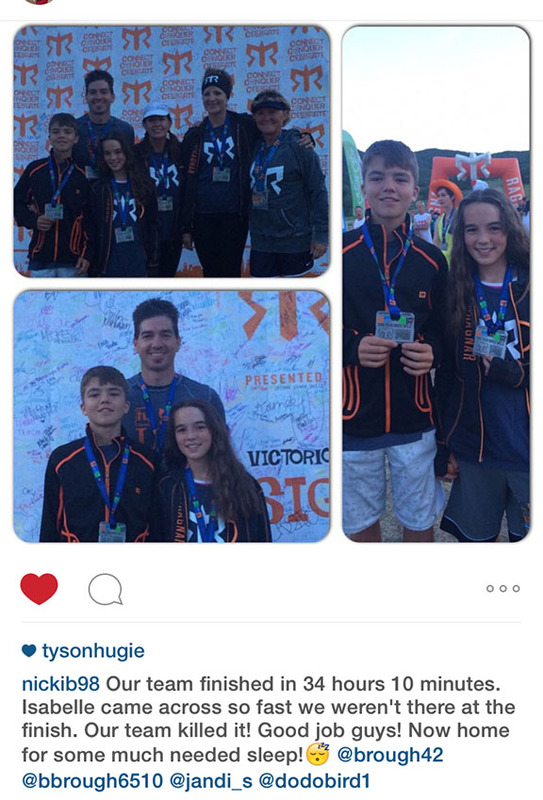 Great writeup Tyson! Haha, YOU WIN! Not sure what you win – maybe a moose-shaped mug with some egg nog in it? Congratulations. And thanks for reading. Always a good time with Tyson in the car/van/suburban. 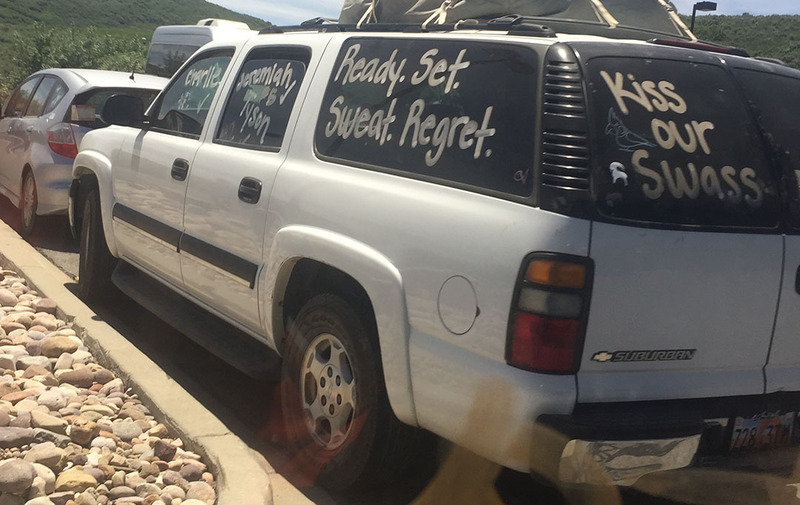 I bet you were wishing more than once that you were on a road trip behind the wheel rather than cramped in the back bench seat of a stinky vehicle! 🙂 You held your own, as I knew you would. 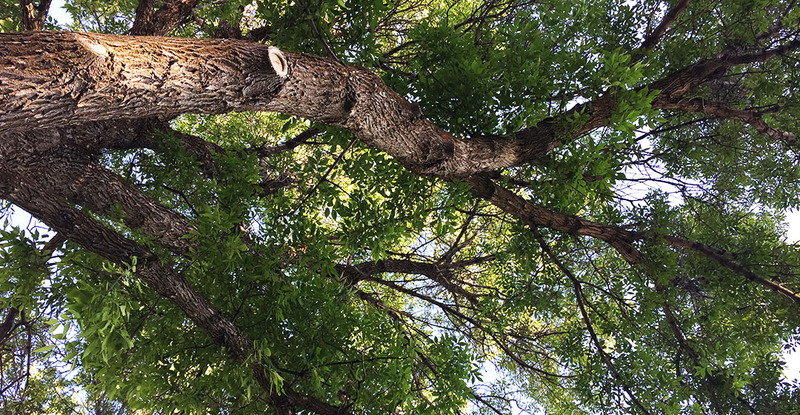 I don’t know what it is about the tough stuff that just keeps luring me back in…. Yeah, routine is good. Glad to be back into it. I’m sure I’ll be itching for some sort of adventure in no time.